rid itself of the more rigorous academic standards—although he doesn’t quite see it that way. 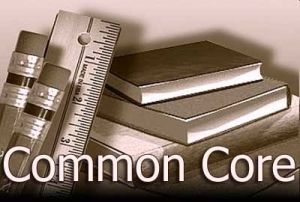 Lawmakers began moving toward a repeal of the Common Core standards months ago, which are a set of guidelines that that the state adopted in 2010 which outline what students should be able to know and do in mathematics and English language arts. The House passed legislation that would repeal the standards and force the State Board of Education to consider alternatives that would not include the Common Core. But the Senate version, sponsored by Sen. Jerry Tillman, keeps the door open for Common Core, allowing a review commission of mostly political appointees to recommend to the State Board some or even all of the standards currently in place. Forty-five states and the District of Columbia have adopted the Common Core State Standards, which were developed by local stakeholders, the National Governors Association and The Council of Chief State School Officers, of which North Carolina’s State Superintendent, Dr. June Atkinson, is president-elect. But states have recently begun to step away from the standards. Indiana, Oklahoma and South Carolina have repealed Common Core, and numerous other states have expressed their intention to renege on their promise to implement them in various ways. North Carolina has spent many millions on implementing the Common Core, using mostly federal Race to the Top (RttT) funds. The state has spent at least $72 million of RttT money on transitioning to the Common Core, and an additional $68 million was spent on building local districts’ technological capacity to be able to deliver on the new standards. Outside of RttT funds, local school districts have also spent their own money on CCSS implementation – and it’s difficult to even put a figure on that cost. “Well, they dangled $430 million dollars out there, Race to the Top. Good old easy money, bought us off…But we got some powerful people fighting this thing. And so I want us to stop it [Common Core],” said Tillman. Tillman will likely play a role behind the scenes in suggesting who will sit on the Academic Standards Review Commission, which will comprise four appointees selected by Senate leader Phil Berger, four appointees selected by Speaker Thom Tillis, 2 members of the State Board of Education and one appointee of Gov. Pat McCrory. Stay tuned to learn who will sit on that commission, which is designed to determine the fate of the Common Core standards in North Carolina. Characterizing Common Core as rigorous standards is misleading. It is actually a dumbing down of academic standards. I am elated that we repealed it.